The bling continues, this one is slightly more practical. How do you stop crap going all over the engine? Especially as I now have a nice radiator guard. The answer was a £19.99. Pyramid Plastics fender extender. Obviously I had seen Ren's home made mudguard extender and I don't have the skills to emulate him therefore an off the shelf solution was more practical. The bit of plastic comes with double sided stickers and 4 small plastic push rivets if you wish to rivet the thing on. There are a few "how to" videos on YouTube. Some use the stickers, some use epoxy resin glue, some use the rivets. No one knows which is the best method. One chap used the stickers and it fell off. I think the rivet method may work better but this means I will be drilling the mudguard. 4mm drill bit found. You stick the stickers in a certain pattern outlined in the leaflet. Clean the mudguard with the enclosed wipes and stick it on. Then mark the drill points. Drill in 4 places ensuring you don't drill your finger or your front tyre. Push the rivets in and they click into place. Done in 15 mins. Looks OK and it seems pretty secure and solid. Hopefully it will do its job. 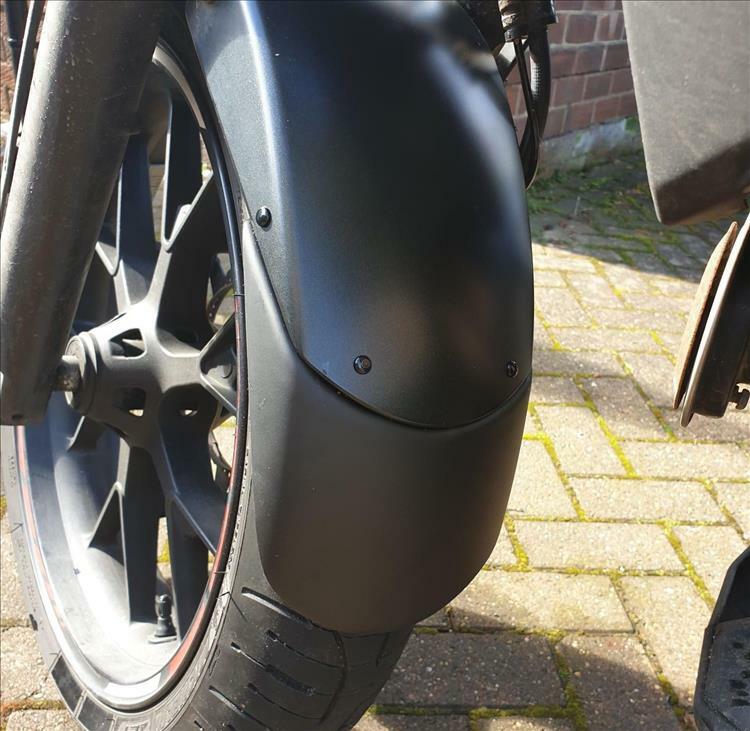 Short mudguards are fashionable - it's one of the most annoying things about modern bike design. In the old days bikes used to have proper mudguards and gaiters on the forks, in the days when people used them as transport rather than sunny weekend toys. Fortunately there are aftermarket solutions to most of the problems, fender extender, hugger, gaiters - but it's annoying that we have to shell out for these things. Aaaahhh, Bob. I'm an agreement but we are I'm afraid in the minority. Motorcycles are no longer a form of transport they are a leisure activity - in this country at least. And here in the UK and other countries around the world where bikes are not primary transport the motorcycle's design has changed to reflect fashion long before function. Remember though we here are but a tiny part of the global motorcycle market. In countries like India and Vietnam motorcycles are still made to be used, they still have proper mudguards and seats designed for 2 (or more) people. Maybe Bob, you and I are just in the wrong country? 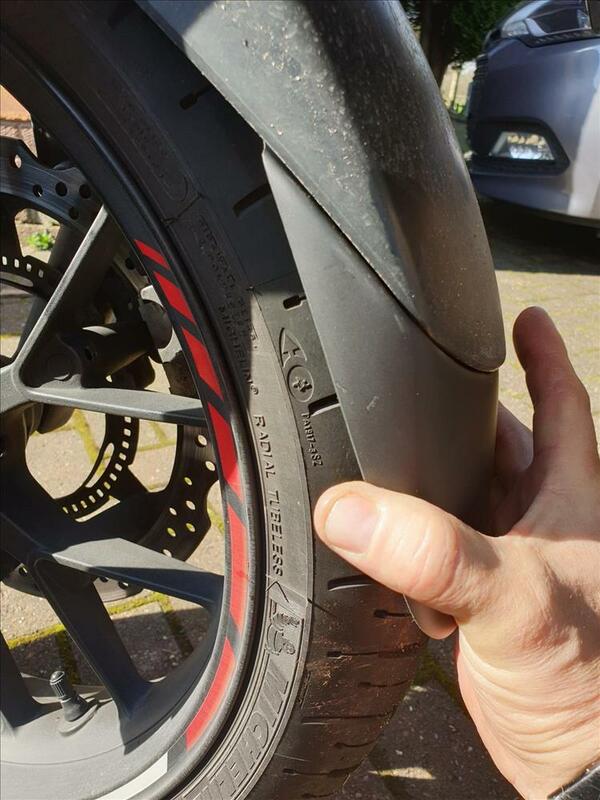 Please could say where you got the Red/White rim stickers from, and any advice on fitting them? 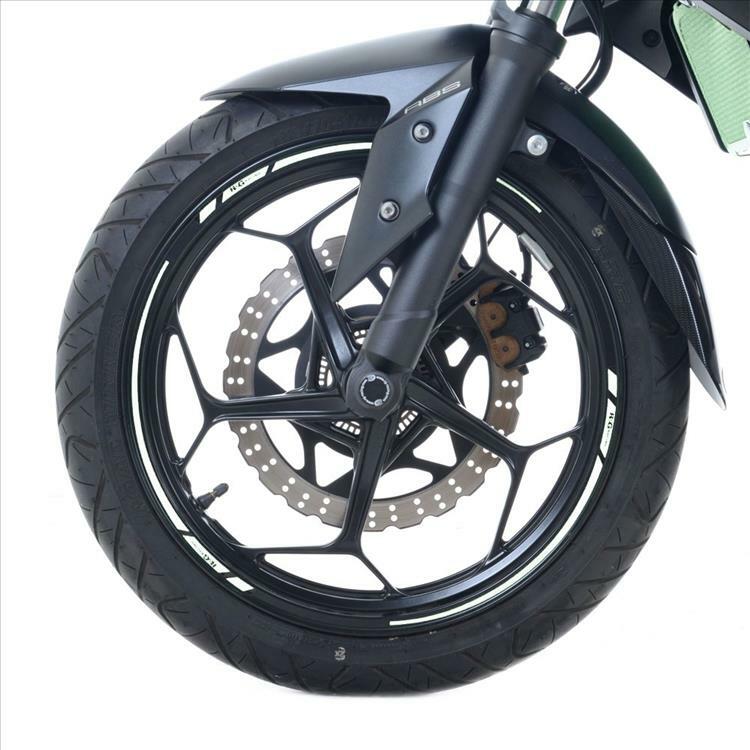 (or did they come already fitted on your bike) I would like some for my CB125R. Get well soon, and try and keep positive, time is the most valuable resource we have. The wheel stickers were from Honda if you got the panniers they were free. I seem to remember you could buy assorted colours and fit yourself. There were a separate part. Mine did come with the wheel stickers... and I did not get the panniers. They're "original equipment" David. There'll be load of rim tape designs online though. 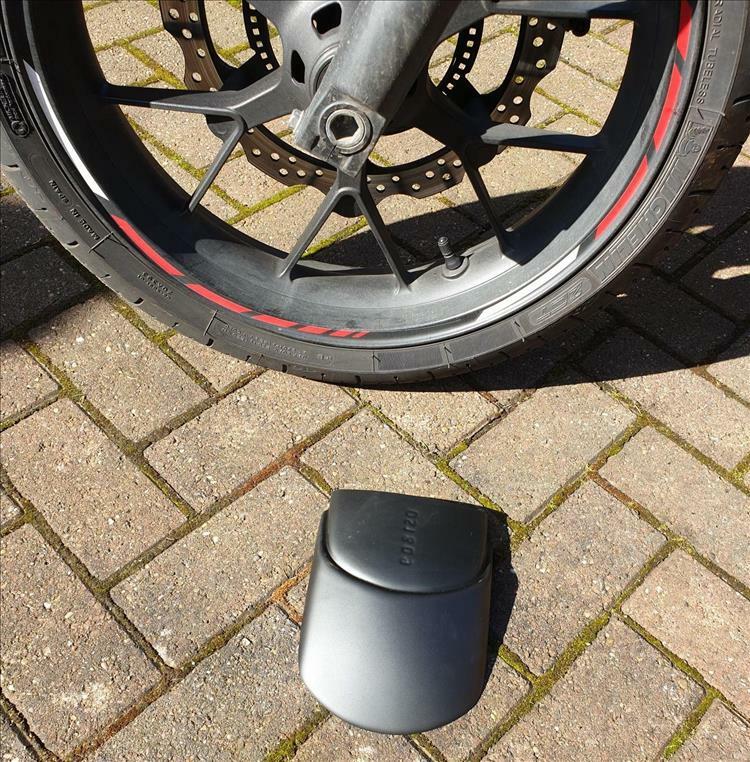 The Honda accessory ones start @ £42.00 ouch! I don't know how creative you are David but could you not create something yourself that you like? Let's face it - it's tape. If it all goes terribly wrong peel it off and try again. Get some cheap plain and boring rim tape and a pair of scissors, see what happens.